Do you remember the resolutions you made in January? If you’re like most people, you probably vowed to eat better, get more exercise – and maybe floss more often. So, you’re almost two months in – how’s it going? Have you already reverted to your old habits? Well, you’re not alone. With nearly 80% of resolutions failing by February, it’s not surprising to find yourself in this predicament. But that doesn’t mean you can’t be successful. 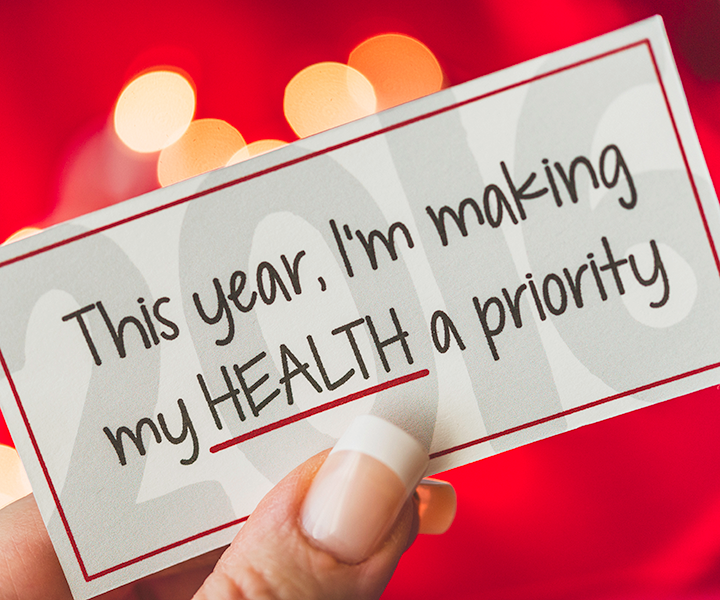 People often set their resolutions with the best of intentions to make positive changes in their lives. But what often happens is that the restrictions they set for themselves are not sustainable. Here are some ideas to help you hit the reset button on those resolutions. Set realistic goals to whatever changes you plan to make and make them specific – not “I’m going to bring my lunch to work more often”, instead say “I’m going to bring my lunch to work twice a week.” That way, at the end of the week, it’s easy to determine if you’ve met your goal or not. To achieve your goals, you have to identify the barriers to your success and overcome them. For example, if you determine you eat out often because it’s simple and quick, resolve to make time in the evenings or on the weekends to plan and prepare that week’s meals. Little changes in the way you do things every single day can really add up. For instance, having a piece of fruit for dessert every night instead of a bowl of ice cream could save you enough calories to drop 10 pounds in a year – and that’s just one relatively small change. And, you can continue to build on these small successes throughout the year. It takes time to undo a bad habit, which is why repetition is so important. But it’s a lot easier to repeat a small, relatively easy task than one that seems positively Herculean. Nutrition Facts on packages are one of the best tools you have to help you choose nutritious foods and comparing different products. You can consider factors such as calories, fat, protein, and sugar content across brands, which helps you make smarter choices. Understanding a food label can be difficult. Doing a little research of terms on a food label can help you know what to look for. A switch from regular ground beef to ground turkey breast can cut about 10 grams of fat and 100 calories per 3-ounce serving. You’ll eat fewer calories and a lot less sugar if you buy plain yogurt and add your own fruit and sweetener instead of the pre-sweetened variety. Incorporate more plant-based proteins and replace refined starches with whole grains. Try brown rice, whole wheat pasta, whole wheat bread and crackers, whole wheat couscous, quinoa, and oatmeal instead of highly refined “white” breads, cereals, pasta and grains. Canned tuna and salmon are wild caught and good sources of omega 3 fats; they’re also convenient and affordable. Add canned tuna to your pasta sauce instead of ground beef or toss some canned salmon into a salad for a quick, healthy and light main dish. Once you’re well stocked with healthy ingredients at home, you can start to think about changes you can make when you cook. Maybe you didn’t get as much exercise as you planned in January, or ate as carefully as you intended. Making resolutions is the easy part – making them stick is a lot harder. 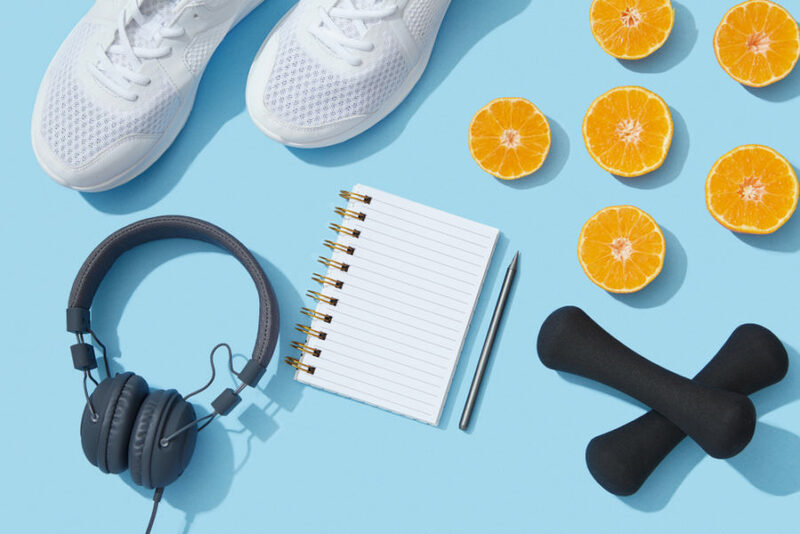 If you tried to take on too much and find yourself falling behind on your resolutions for getting healthier and happier, don’t be afraid to hit the reset button and adjust your goals and make them more realistic, attainable and sustainable.